PDU socket Supply power from one plug to multiple pieces of equipment, conveniently powering rack-mount equipment. Saves time and money during installation by using one plug wire and standard connections. particularly where the equipment is too far from an electrical socket or where additional outlets are required. 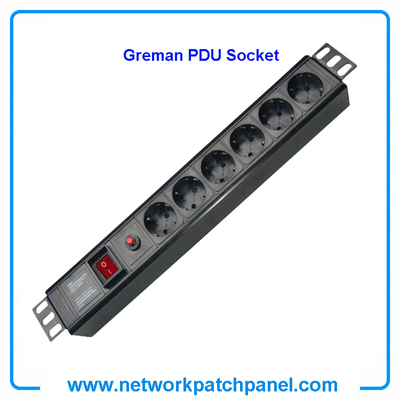 Power distribution unit (PDU) socket is a device fitted with multiple outputs designed to distribute electric power, especially to racks of computers and networking equipment located within a data center. Data centers face challenges in power protection and management solutions. This is why many data centers rely on PDU monitoring to improve efficiency, uptime, and growth. The PDU socket is easy and convenient installation for 19" standard and various Non-standard installation. Its multiple function module design including outlet module, control module, anti-thundering module,guarding against electricity.